Not many of us deal with cash in our daily lives thanks to credit and debit cards and internet banking but it still pays to find out how to spot a fake banknote in the UK because you might be passed one in a pub, shop or restaurant. The Bank of England say that maintaining consumer confidence in the UK’s currency is one of their primary goals so they’ve provided a guide to counterfeiting which forms the basis of this post. Thanks to the security features included on bank notes, counterfeiting in the UK is very rare but you should still check bank notes when you’re exchanging them. 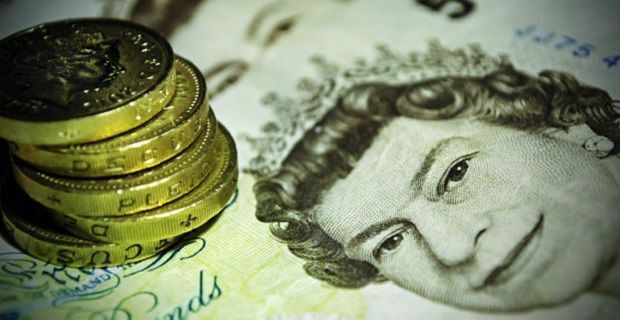 Knowingly passing counterfeit currency is an offence, so if you find yourself with a purse or wallet full of counterfeit cash, you won’t be able to use it without taking a risk. If you suspect a note you have is fake, take it to the police immediately. They’ll give you a receipt and send the note to the Bank of England. If it turns out to be genuine, you’ll be reimbursed the funds. The first thing to check for is the raised print on the front of the note and the unique feel of the paper the notes ar printed on. If you’ve handled enough genuine notes, you should feel a difference. If you’re working in a shop or somewhere else where you can get your hands on genuine notes, you could easily compare the feel of the new note with those already in your possession. Check the metallic thread on the note. If you hold it up to the light is will show as one continuous line on genuine notes. If you’re still not satisfied about the note, hold it up to the light again and check for the watermark image of the Queen. The final check you can make is to look at the print quality. If it’s not crisp and clear, the chances are that you’re handling a fake.